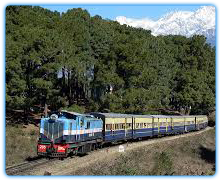 Morning Full day City tour of Shimla -. Kalbadevi Temple, Jakhu Temple, Hanuman Temple or stop for a while at the beautiful stained glass - windows of Christ Church which was built in the 1850 ‘s . 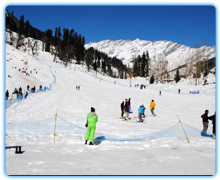 Afternoon excursion to Kufri a 30 Minutes drive from Shimla, an exotica of nature as a place surrounded by dense forest and snow caped mountains amidst virgin peaks and natures flora and fauna where one can completely relax and tune oneself for natural beauty. Return back to Shimla for overnight at Hotel. Morning leave for the best of the himalayan hill resort of Manali. Reach Manali and check in at Hotel. Evening free to relax & unwind. Overnight at Hotel. Walk through town visiting newly constructed Buddhist Monastery. Hadimba Devi temple-It is small temple situated in the dense forest is very intresting . Hadimba is said to be the wife of Bhima from the epic of Mahabharata. On the way up to the village you come upon the Vashist hot baths where a natural sulphar spring is piped into a modern bath -house. Overnight at Hotel. Full day tour of Rohtang Pass - The majesty of the mountains and the glaciers can be seen at their best, you have next two hours to enjoy this snowy haven. Take a sledge ride down the slopes, try your luck climbing the little snowhills. On you’re descents to Manali, halt at the Rahalla falls and Solang Valley. The Magnificent views and natural beauty are a never-ending source of delight. Also halt at Marhi, Ralha falls, Nehru Kund. Return to the hotel for Overnight at Hotel . Morning check out of the Hotel and drive to Palampur enroute stopping at Kullu and visit to Shawl Factory. On arrival at Palampur check in at Hotel for overnight at Hotel. Imbibe the magic of the ‘White Ranges’ and of history and nature as much as you can while visiting the Tibetan Monastery, St. John’s church in the wilderness, Trichund Peak, Odichi huts, Dal lake, Naddi. Shop in the bazaar for Tibetan handicrafts in the evening. Overnight at Hotel . Morning leave for the Dalhouise - its one of the most scenic saucer shaped Plateau and is surrounded by dense pine and deodar forests, its beauty has further been enhanced by a small lake in the center with a floating island and 9-hole golf course. Afternoon free to relax and unwind. Overnight stay at Hotel. 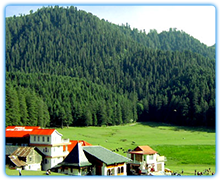 Today embark on an excursion to Khajjiar ( 18 kms ) often called 'India's Switzerland'. Along its exquisite glade is a small lake fed by streams that treverse the green carpet. Enjoy the panoramic view and drive back to Dalhousie. Overnight at hotel. Morning leave for Amritsar. Arrive Amritsar and check in at Hotel. Evening free to relax and unwind. Overnight stay at Hotel. Named Amritsar after the pool of nectar or the sacred pool within the Golden Temple complex, the city is lively and chaotic, bursting with bazaars like any other North Indian metro. A whistlestop tour of Amritsar, like Queen Elizabeth II’s progress through the town, need only include visits to the two major landmarks of the city - the Golden Temple, of course. and the Jallianwala Bagh. Evening check out of Hotel and transfer to Railway station to board train for Delhi. 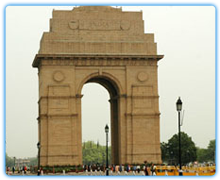 Arrive Delhi and transfer to Hotel for overnight stay. After Breakfast check out of Hotel and leave for onward destination.